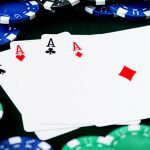 888 Holdings has reacted to declining revenues by launching a new poker client, and including a new Rake or Break Sunday promotion designed to give more money back to the players. Sitting with Rob Yong in an empty restaurant deep in the bowels of the Landing Casino in South Korea, I ask him about partypoker’s competition. I nod like a broken flipper on a pinball machine. 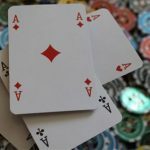 With partypoker’s revenue up 42% YoY, while PokerStars remains steady, and 888Poker’s sinks to a 37% low, there may be something to Yong’s statement. PokerStars is the stag in this particular forest, but 888Poker has always had a decent set of antlers. Maybe that’s why 888Poker has released a significant overhaul to their platform. 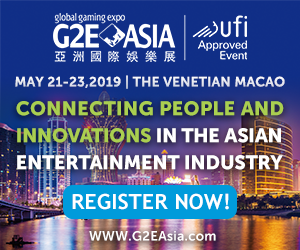 Christened ‘Poker 8’ the changes impact desktop users across the world with the statements “new and improved cross-territory platform”, and “a more enjoyable and engaging experience” the stock in poker media reports around the globe. 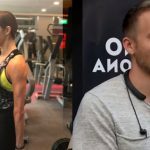 888Poker made the changes after extensive feedback and company research, and in fairness, they have a sound team of ambassadors to lean on with Martin Jacobson, Dominik Nitsche and Chris Moorman known to play a hand or two of online poker. 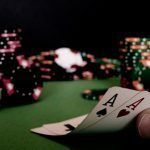 But are the changes enough to turnaround a $77.9m to $49m poker revenue dip YoY (only 10% of 888 Holdings overall gaming revenue? I don’t know what that agenda is, but I do know that the team paid to turn the deficit around love their poker; only I don’t think ‘love of the game’ is enough to turn this around. Back to that Korean restaurant, and Yong tells me unabashedly how he used to copy the world-class things that PokerStars did when in his eyes they did world-class things. One positive thing that Yong said about 888Poker was their RakeLESS Sunday promotions were ‘good.’ The Dusk till Dawn (DTD) owner is proving to be quite the architect when it comes to breathing new life into the lungs of flagging online poker rooms, and he believes the secret sauce is giving back a significant portion of your revenue to your players, who will then give it right back. 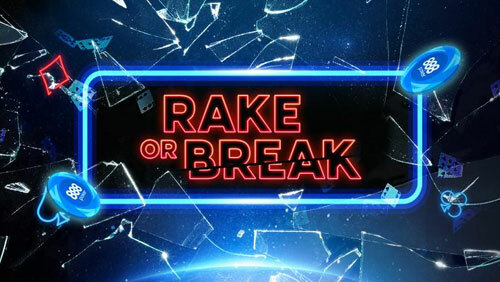 888Poker has been doing this with their RakeLESS Sunday promotion, and continues along the same theme with the new Rake or Break Promotion beginning on Sunday 24 March on 888Poker’s new Poker 8 client. 888Poker will select three tournaments each Sunday with target prize pools up to a ceiling of $100,000, and if they fail to hit the target, 888 will refund all tournament fees, including re-entry fees, and also, they will increase the following week’s guarantee by 10%. On Sunday 24 March, there is a $55 buy-in, $15,000 Rake or Break Monsoon. A $109 buy-in, $25,000 Rake or Break Challenge, and a $320 buy-in, $100,000 Rake or Break Main Event.